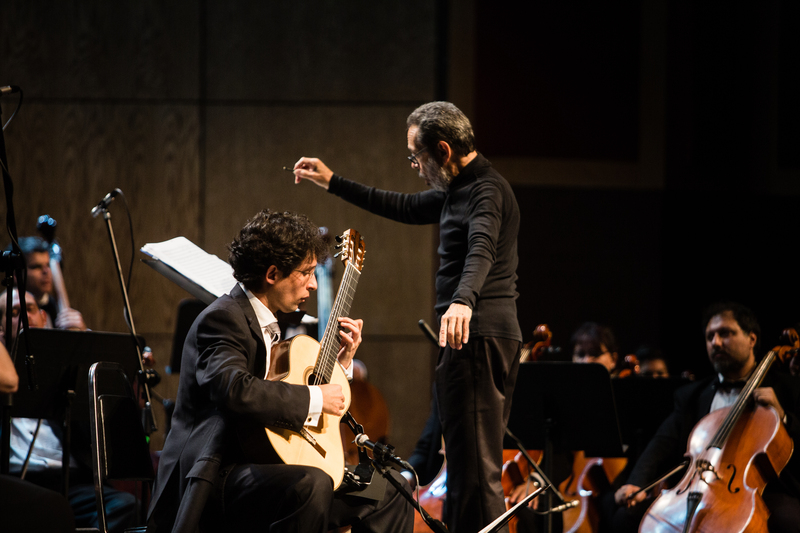 Leo Brouwer, Jan Latham König, Jesús Medina, Alondra de la Parra, Andrés Cárdenes, JoAnn Falletta, Sergio Cárdenas, Natanael Espinoza, JoAnn Falletta, Jesee Levine, Juan Carlos Lomónaco, Iván López Reynoso, Gustavo Rivero, Gordon Campbell, Donato Cabrera, Joan Pagès, Armando Pesqueira, José Areán, Samuel Pascoe and Wolfgang Bozic. Among the Orchestras whom Pablo has collaborated with are the OFUNAM, participating in the first european tour of this ensemble, the Mexico City Philharmonic, Virginia Philharmonic, the Bundesjugendorchester (Germany), the OSSLA, Bufalo Philharmonic, the OJUEM (Mexico), and with the Salzburg Chamber Soloists, under conductor Lavard Skou Larsen. He recently participated as soloist of the Dortmunder Philharmoniker Orchestra under conductor Gabriel Feltz.